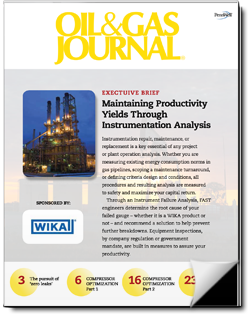 OGJ Executive Briefs - Technical Briefs - are compilations of 2 - 4 OGJ-Magazines articles that provide readers with in-depth, valuable content on a key industry topic in a downloadable PDF format. Garnered from the pages of this highly respected magazine and website. Executive Briefs are designed, produced and published by the OIL & GAS JOURNAL AND posted to the OGJ website to generate leads not only from the OGJ audience but from online search as well. 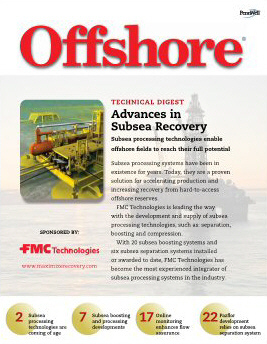 Offshore Magazine Technical Briefs - are compilations of 2 - 4 Offshore-Magazines articles that provide readers with in-depth, valuable content on a key industry topic in a downloadable PDF format. Garnered from the pages of this highly respected magazine and website. Executive Briefs are designed, produced and published by the OFFSHORE MAGAZINE and posted to the Offshore website to generate leads not only from the Offshore audience but from online search as well. Leads for companies database and follow-up marketing.